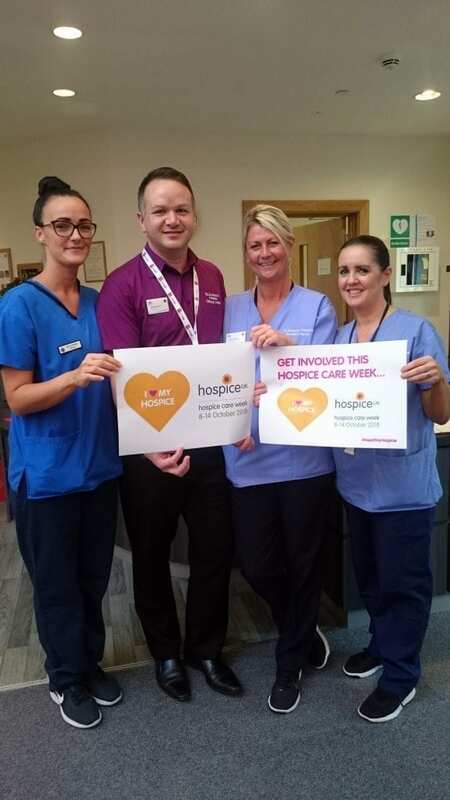 Next week, St Andrew’s Hospice – along with charitable hospices across the UK – is encouraging the public to support their local hospice in whatever way they can – whether by donating, volunteering or showing they care on social media – during Hospice Care Week. St Andrew’s Hospice is committed to providing the highest standard of Specialist Palliative Care to the people of Lanarkshire. It provides physical, emotional, social and spiritual support to patients, their families and carers. The Hospice cares for up to 120 patients per week across all its services. All services are provided free of charge to the patient. Although St Andrew’s Hospice receives a contribution to their running costs from NHS Lanarkshire, the charity requires to raise £4.6 million through public donations every year. More than nine in ten people (92 per cent) say that hospices are “an important asset to their community” according to an earlier ComRes survey commissioned by Hospice UK. More than half of those surveyed (52 per cent) have interacted with a hospice in some way, such as donating money to help support hospice care (27 per cent). And more than a third of those surveyed (37 per cent) say they would be willing to volunteer for a hospice. “Hospices have a special place in people’s hearts, especially for those who have seen first-hand the incredible care they provide to loved ones.